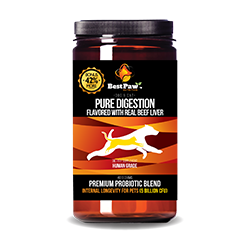 The first modern pet nutrition line created for pets, not people. 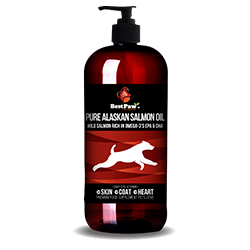 Best Paw Nutrition formulates, blends and sources the highest quality ingredients without compromise. You'll find that each product is made with your pet's best interest at heart. Like you, we believe in the power of holistic nutrition, home remedies, and unconditional love. 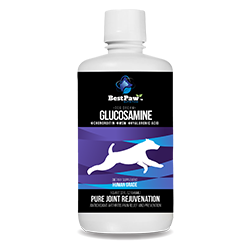 SHOP BEST PAW NUTRITION NOW! Did you ever notice your pet licking its paws? Scratching ears, dry, itchy sensitive skin issues? Allergies or excessive shedding problems? Time for a pet detox? Noticing bad breath, smelly gas, mushy poop or diarrhea? Wondering how to firm up the poop for easier scoop? Is your furry loved one showing signs of aging? Are you noticing the struggles of climbing stairs, jumping on the couch for a snuggle or limping? Search for what you are looking for!